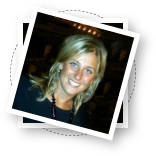 I’m a Communication specialist based in Italy and I’m passionate about writing content for the web and managing below the line activities. I’m a born organizer with networking skills to die for and I take pride in building collaborative business relationships to partner with a diverse range of stakeholders, both locally and internationally. Due to a considerable experience in promoting corporate identities, brands or products through public and media relations, I can help both individuals and companies convey the right message to the right audience by providing relevant web content, successful sales strategies or face-to-face communication. Travel addict, with a strong desire to work cross culturally, I’m used to move around to attend meetings and events on behalf of companies and organizations. Scroll the page down to check out some more about me or just say hello by heading over here. I’m passionate about communication on all levels and I’m constantly fascinated by the ever-changing social media scene. Web-savvy digital native, since 2005 I have worked for over five years in Communication and Internet industry as Web writer and Content manager, with a proven track record in team and project management. In 2009, I switched to a more integrated communication approach since I became actively involved in collaborative work with trade-marketing, events agencies and sales companies. I have worked in promoting different matters of brands and public interest issues through the support of web, social media and below-the-line actions and I have developed both the ability to push new products toward mass-market and to gain insight into customers’ needs. This cross-training, both in online and offline communication, has enabled me to develop social, organizational and technical abilities and to excel in a number of roles in the fields of project and content management, e-learning, public relation, events organization and sales promotion. During my career I had the chance to travel across different countries and to meet a range of amazing people and companies who with I have established collaborative relationships, since I have always believed that good interpersonal communication skills are at the core of good interpersonal relationships.